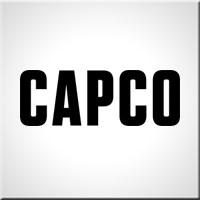 To help innovative and tailor Salesforce technology to meet the digital trends, challenges and needs faced by Financial Institutions, Capco and Westbrook have partnered to provide end-to-end transformational capability. Together, we can help you to translate your technology strategy into systems that deliver on your business objectives – offering a ‘best of both worlds’ experience across business & technology consulting. Collaboration to empower finance. Ingenuity to push it forward. Capco professionals combine innovative thinking with unrivalled, firsthand industry knowledge to offer clients consulting expertise, complex technology & package integration, & managed services. Through a collaborative & efficient approach, we empower our clients to successfully innovate, increase revenue, manage risk and regulatory change, reduce costs & enhance control. Capco is at the forefront of digital innovation and transformation in Financial Services – and working with Westbrook provides you the capability to implement the full suite of Salesforce products. Combined, we have the capability to deploy large-scale transformational projects at the global, regional and local scale. Work with consultants from Capco specialised in business analysis, experienced in the detailed requirements of your sub industry. Get access to experts in Wealth & Asset Management, Banking & Payments, Capital Markets & Insurance. Our experience in Salesforce technology provides you leading edge innovation built from implementing solutions to the unique trends, challenges and needs faced by Financial Institutions. Together Capco & Westbrook provide complete support for your objectives – combining change management, user adoption with ongoing technical support. 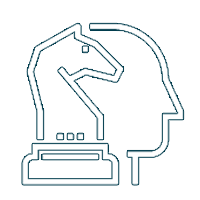 This provides us the capability to embed your solution into your organisation once deployed, supporting users through the transformation & providing the flexibility to respond to user feedback. Strategy that remains relevant even against changing needs, requirements, regulatory push and technological pull. Creating a transformation roadmap and forward looking operating model. Accelerated, empowered problem solving to exceed customer expectations. Taking a fast-fail approach by rapid prototyping, harnessing customer feedback. Designing to delight – creating forward thinking designs in line with the brand guidelines. Producing propositions and mapping customer journeys and experiences. Embedding new & agile ways of working using cultural drivers to embrace organisational change. Creating & supporting digital platforms to support currents & future programme delivery. Sourcing, integrating and assisting to commercialise with the most innovative partners, using our fintech ecosystem. End-to-End integration, launch plan & digital marketing to maximise uptake and ROI.